While Overwatch continues to soar onto new heights with its now competitive multiplayer mode implemented, they shock us again with a reveal of a new character soon to join the ranks. Ana is a medic sniper or if you will; a healing sniper poised to help offset the balance of melee combat on the battlefield. Just when I thought the game couldn’t get any worse with multiple opponents teaming up with Widow and sniping everyone to hell; I was completely confused as to why they would introduce yet another sniper to the mix. I still don’t understand completely, but what I have gathered, it will or should help the opposing teams attempting to push an objective towards a check point. 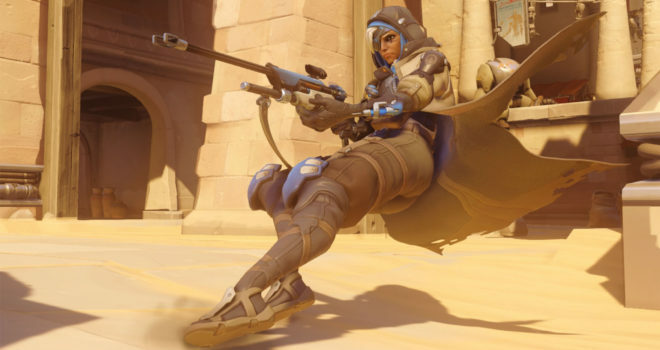 A number of Ana’s alternate costumes or skins are now on display thanks to blizzard sharing their wealth over on Venturebeat. 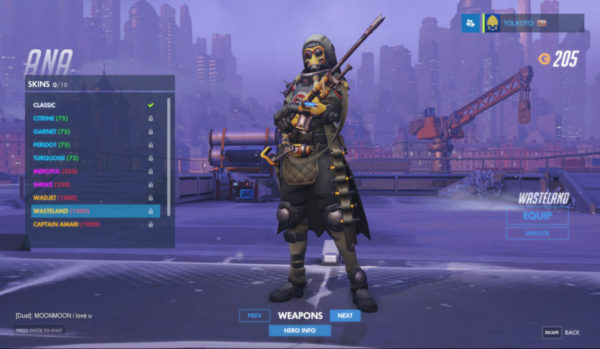 Don’t be shy and feel free to go check out the many combinations of skins you can unlock once Ana the healing sniper is playable.